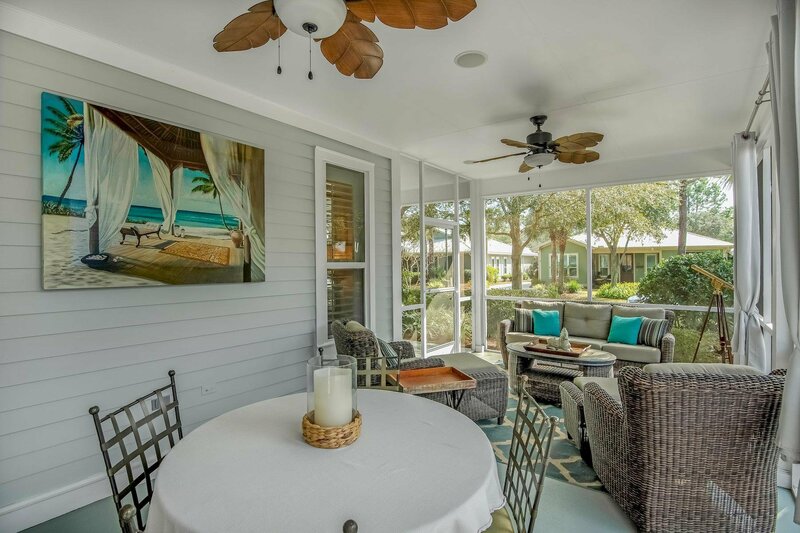 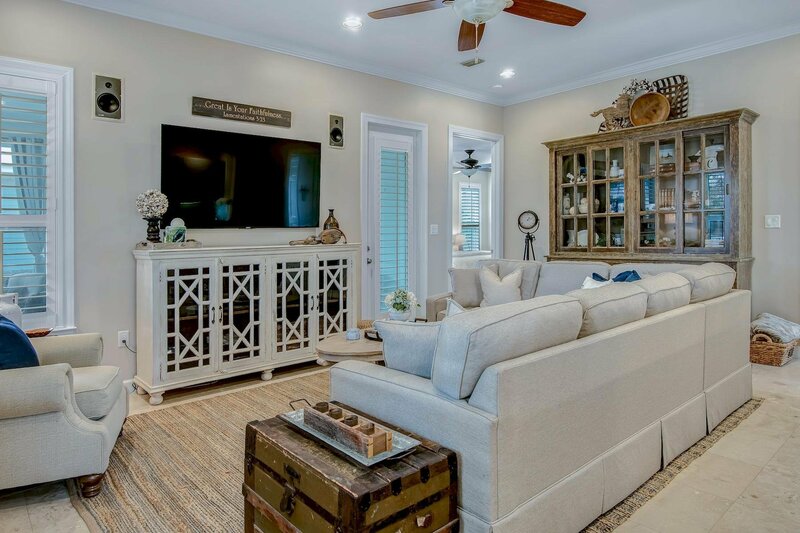 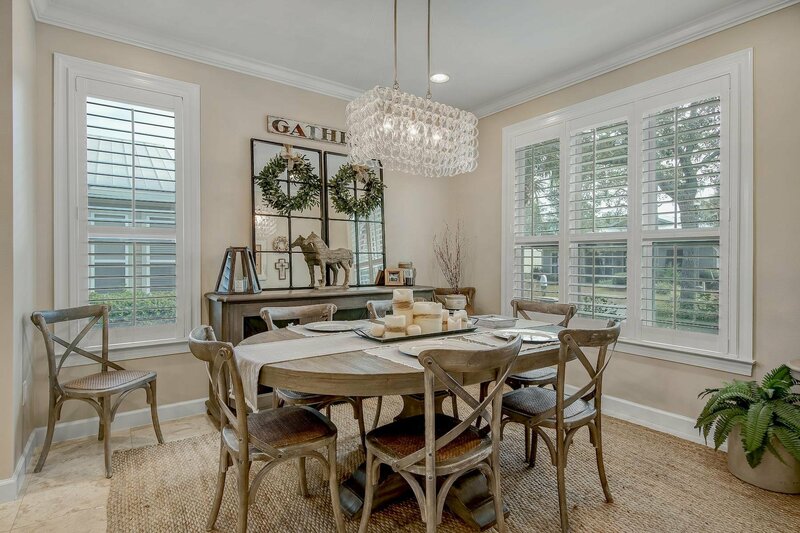 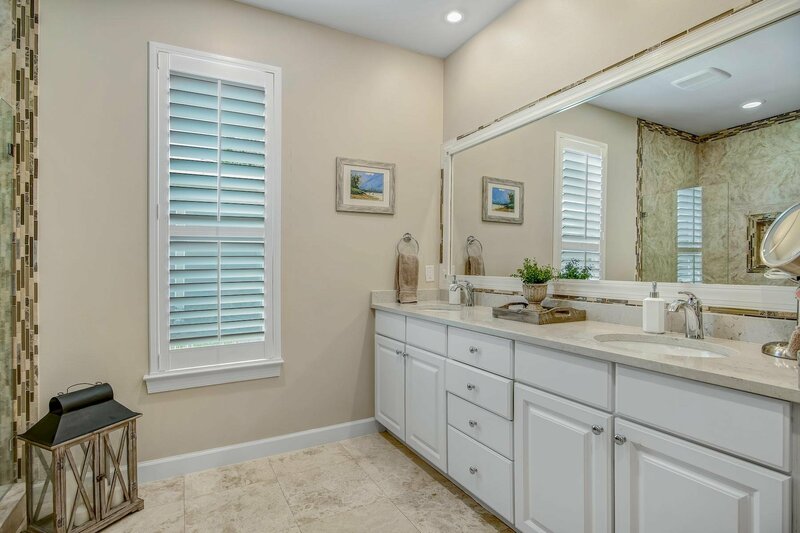 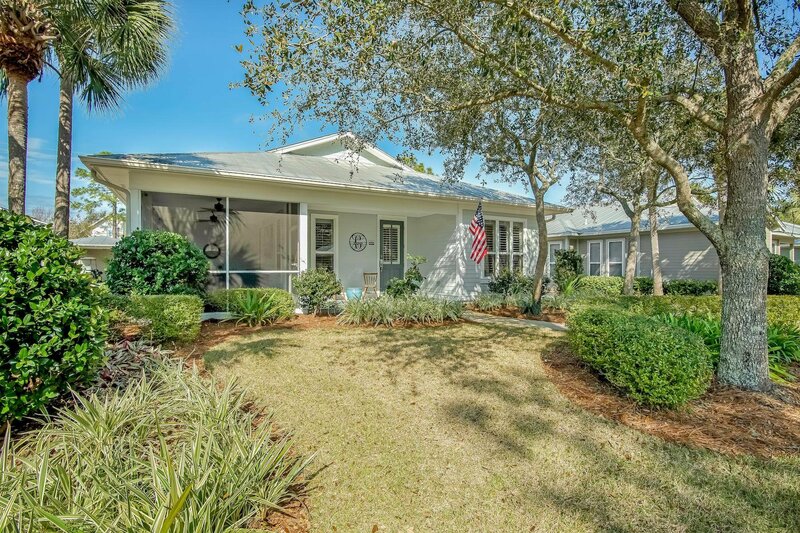 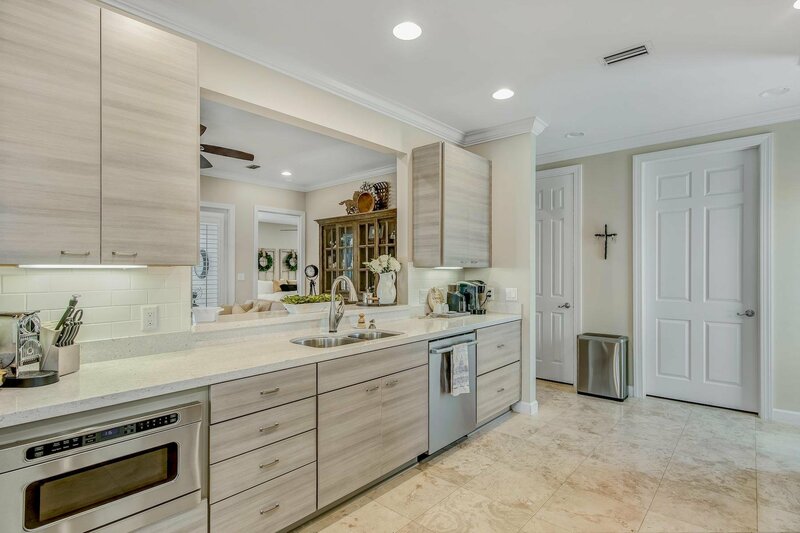 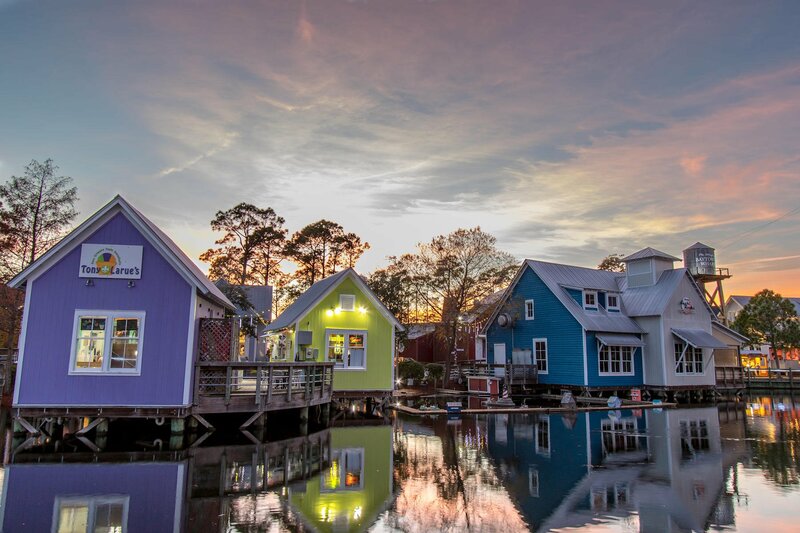 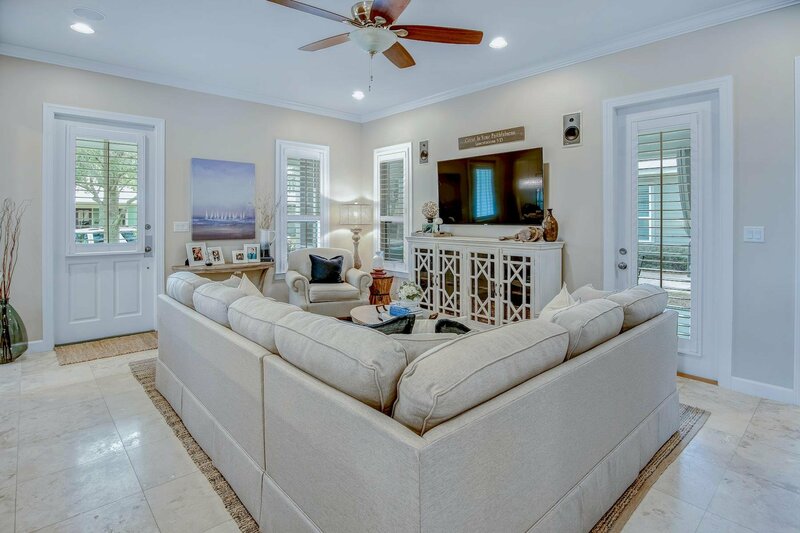 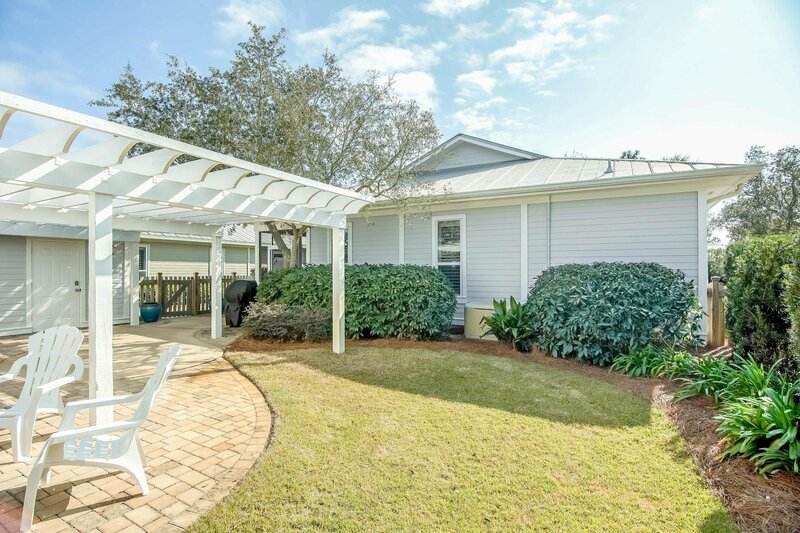 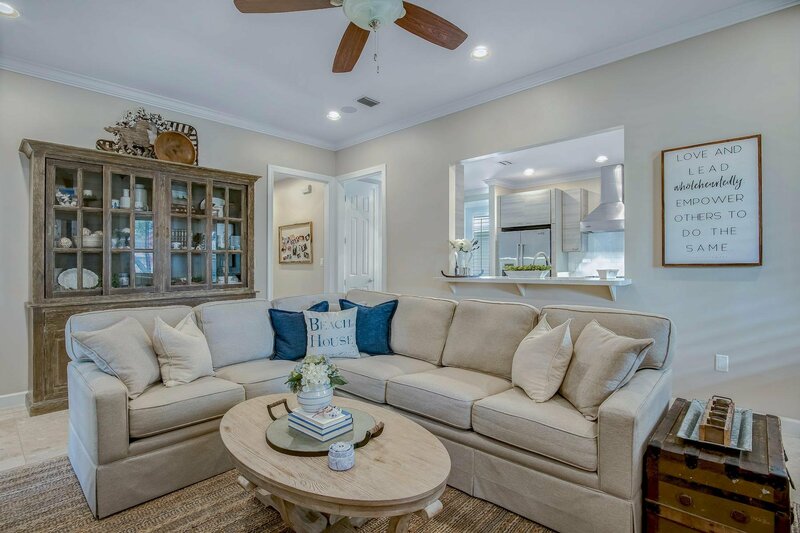 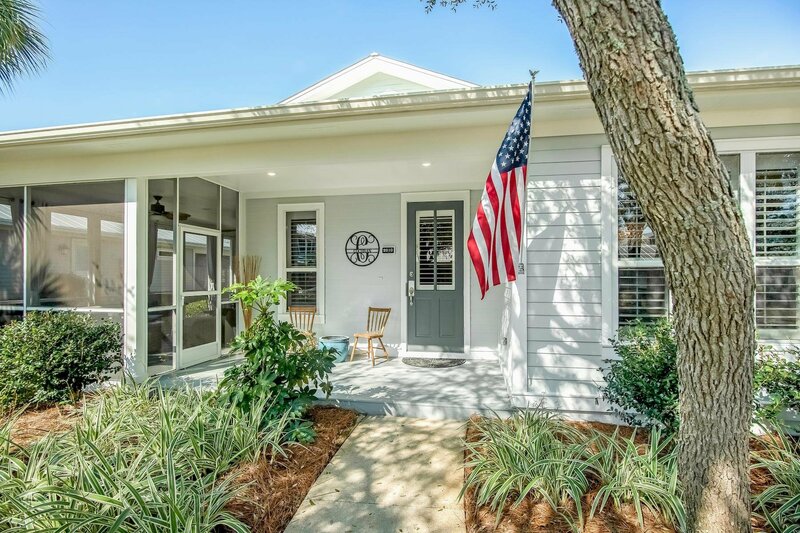 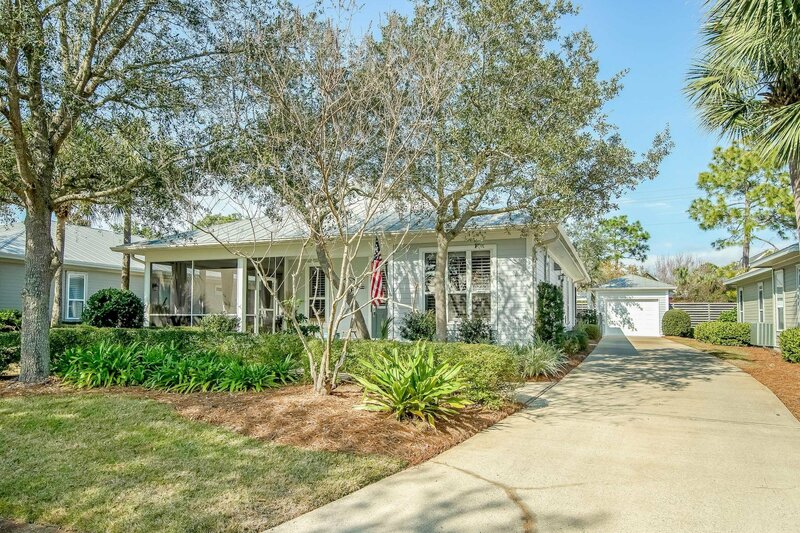 This beautiful, remodeled and freshly painted, coastal cottage is located in the charming Sandestin neighborhood of Crystal Lake. 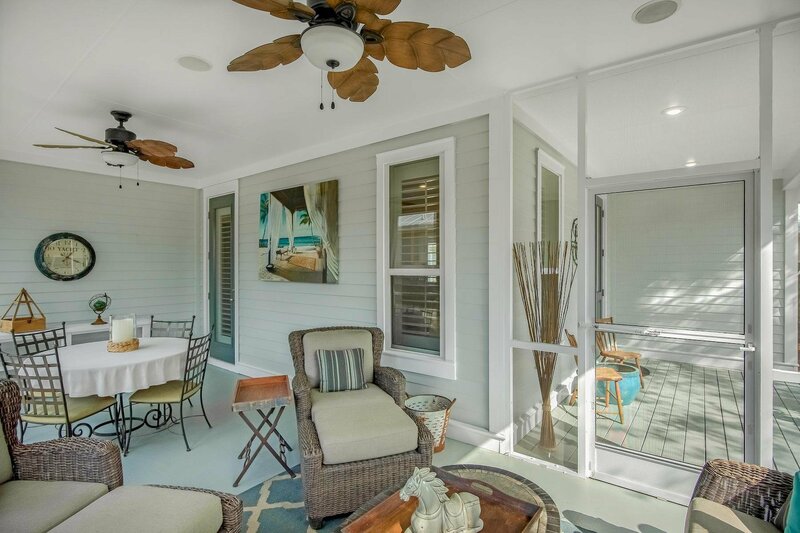 The single-story floorplan features an open kitchen/dining/living area that leads onto a spacious 11' x 24' screened porch; which is perfect for outdoor entertaining. 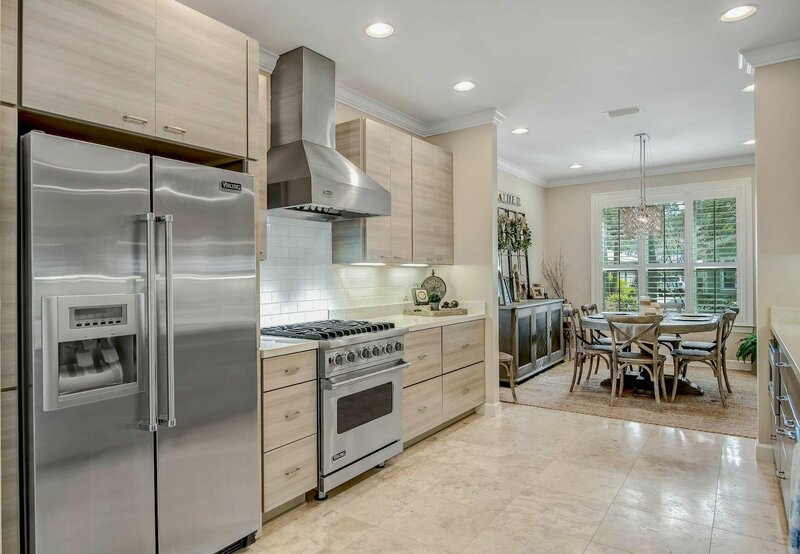 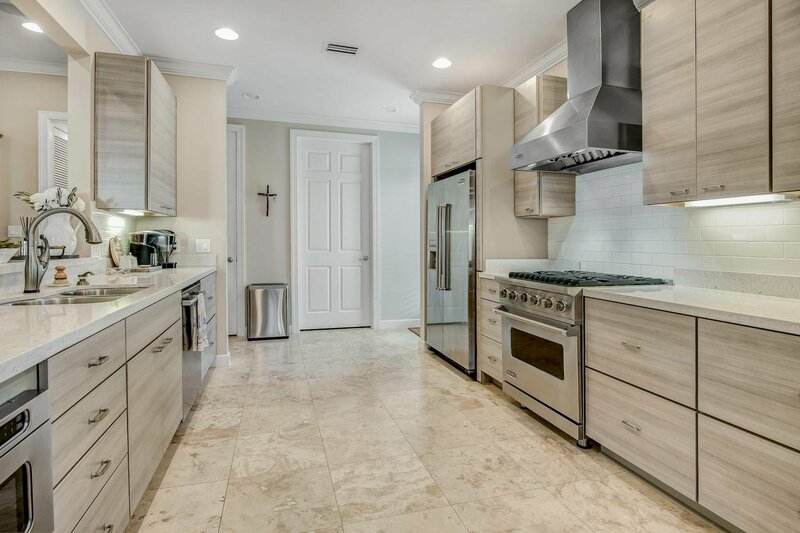 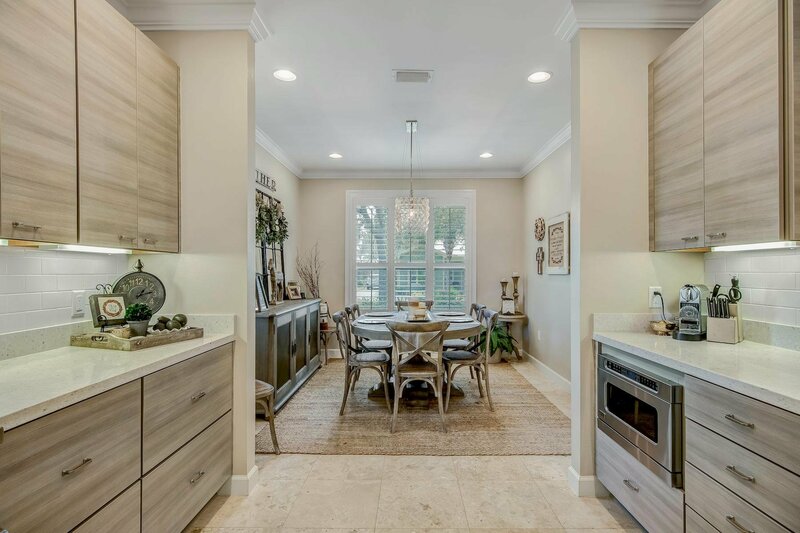 An upscale chef's kitchen features Viking Professional appliances, quartz countertops, sleek-contemporary cabinetry and a breakfast bar that allows you to talk with guests or watch TV while you are cooking. 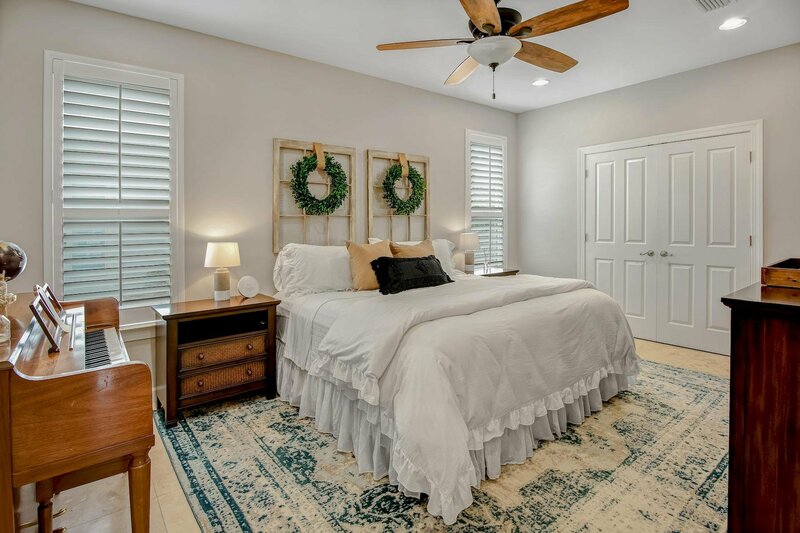 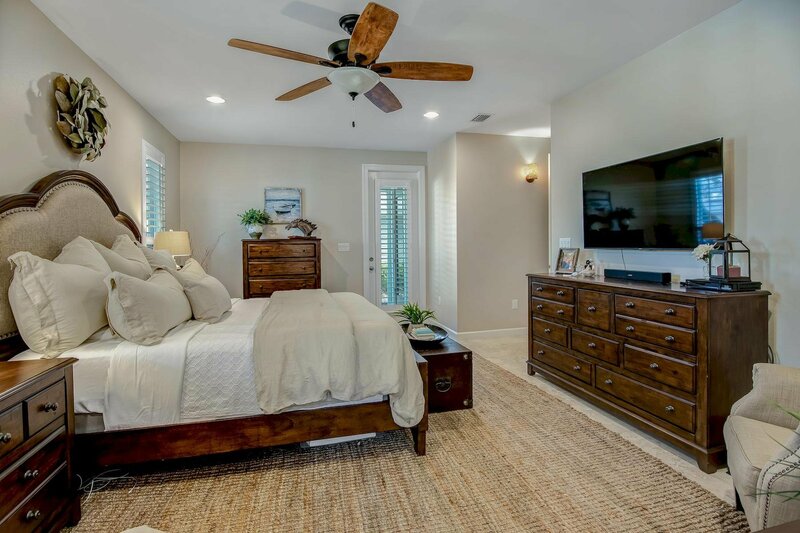 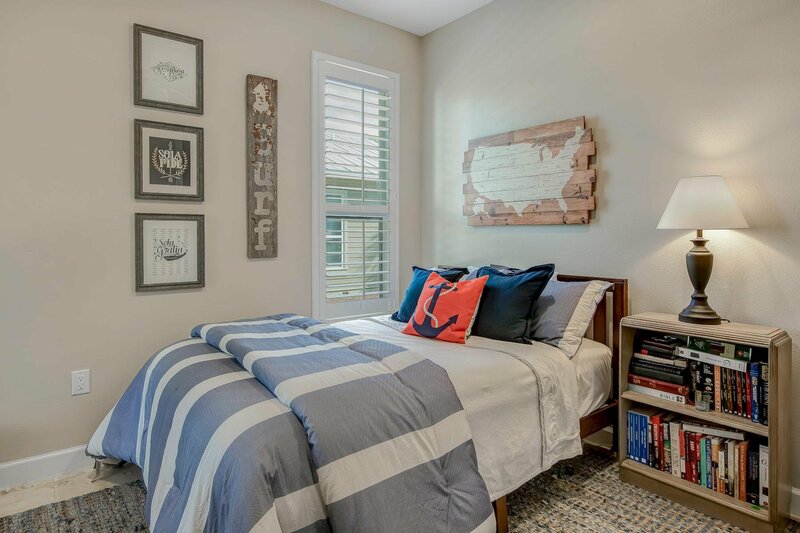 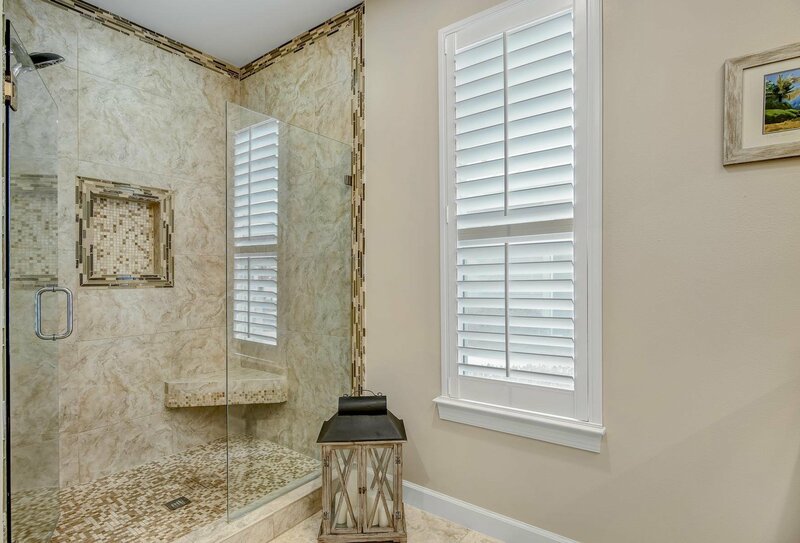 The master bedroom has a large walk in closet with built-in shelving, a beautifully tiled shower, quartz countertops and the bedroom opens onto a quaint screened porch. 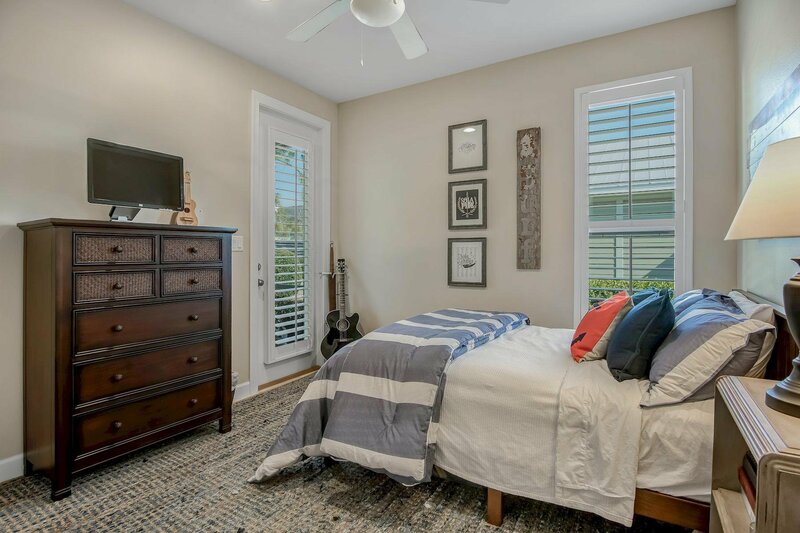 There are two additional bedrooms and a bathroom smartly located to maximize privacy. 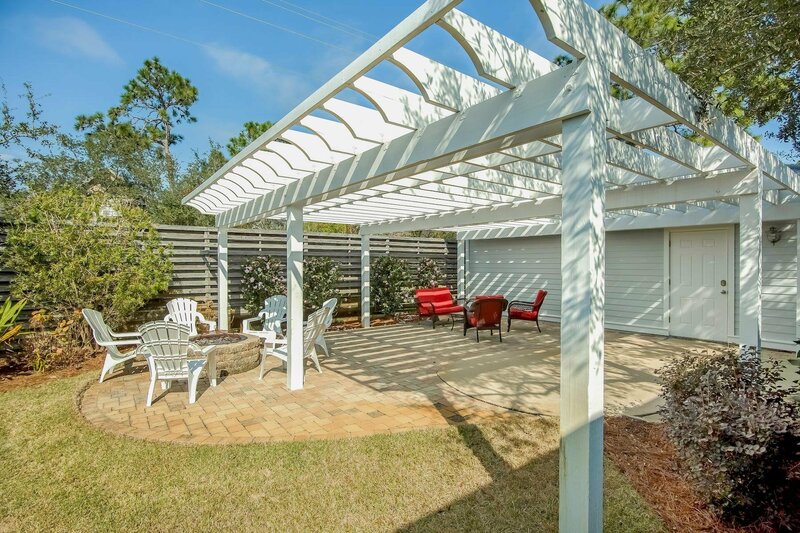 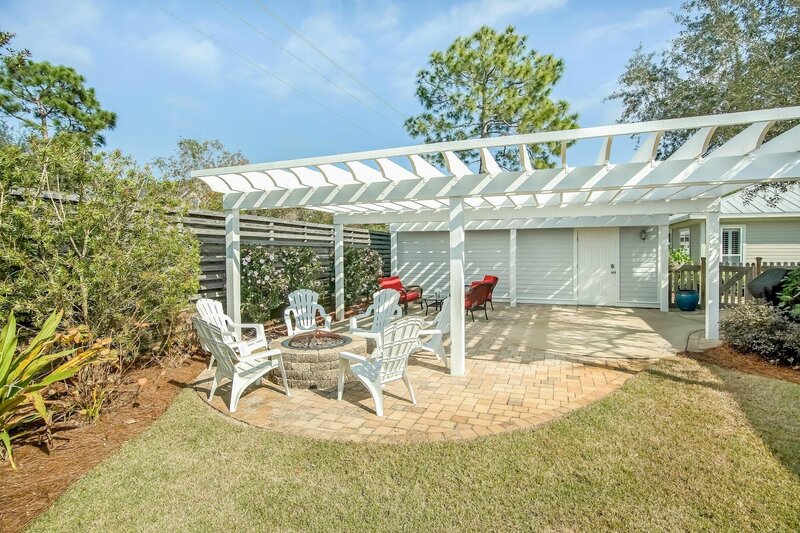 The comfortable lifestyle continues outside with almost 1,000 sqft in porches and an elegant pergola that provides a shady retreat inside the fully fenced backyard. 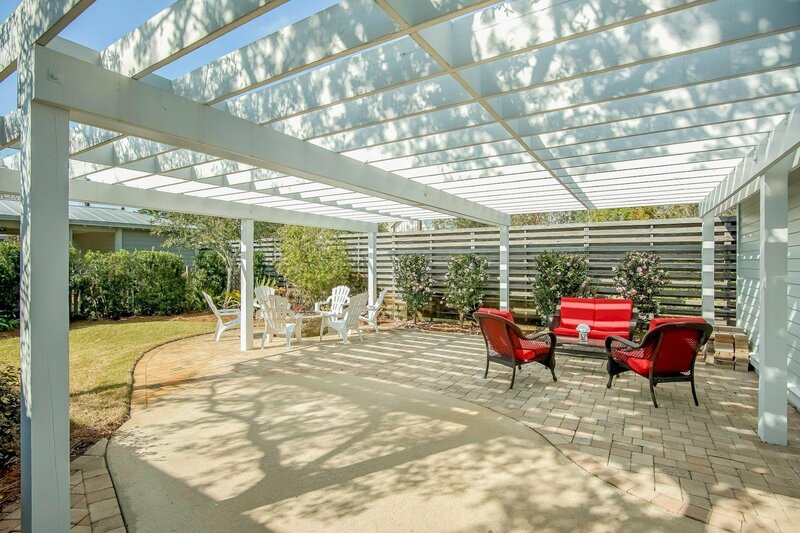 After dark, sit around the natural gas fire pit beneath the starry sky. 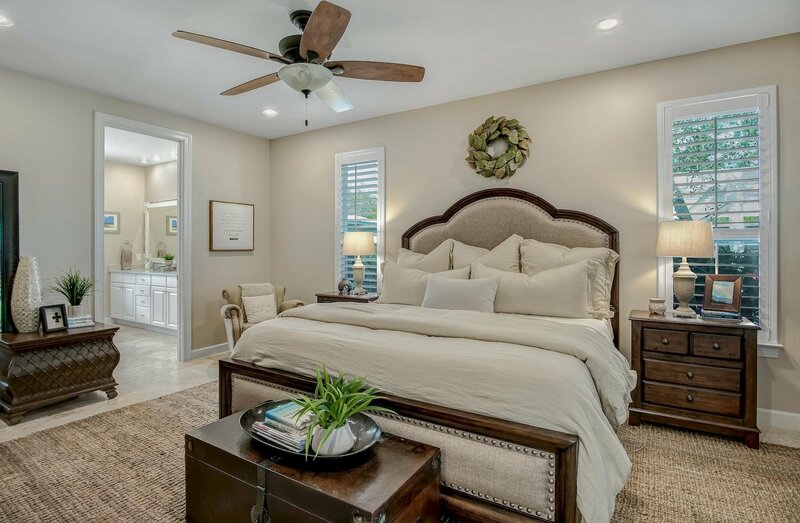 When it comes to convenience, the homeowner has thought of everything including a whole-house generator. 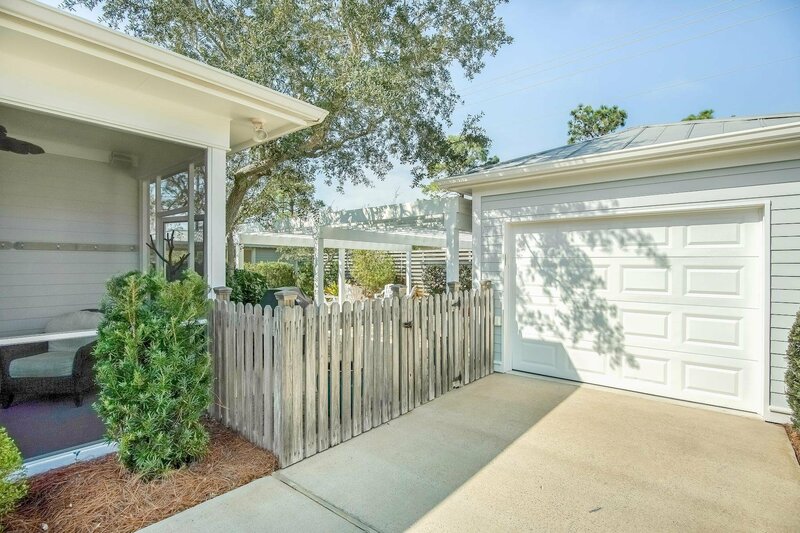 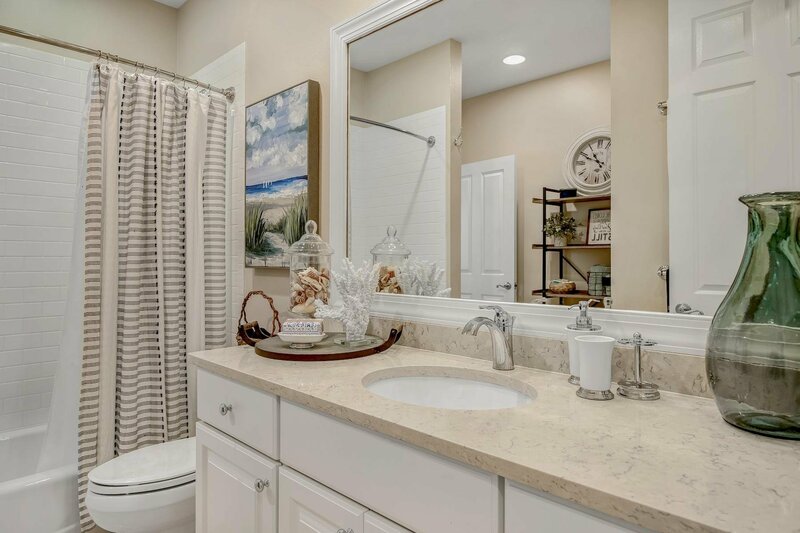 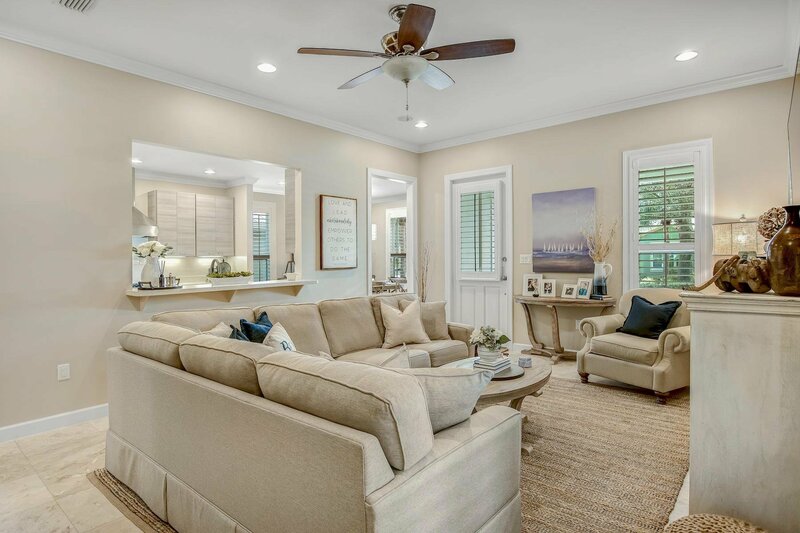 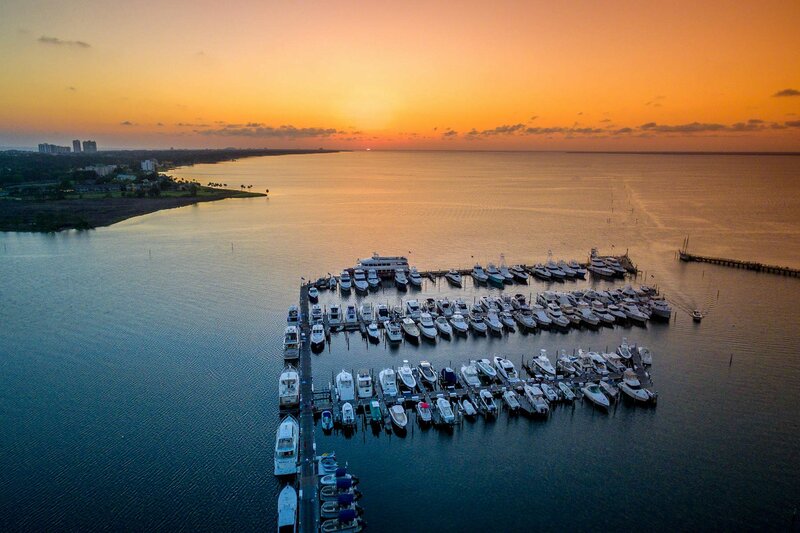 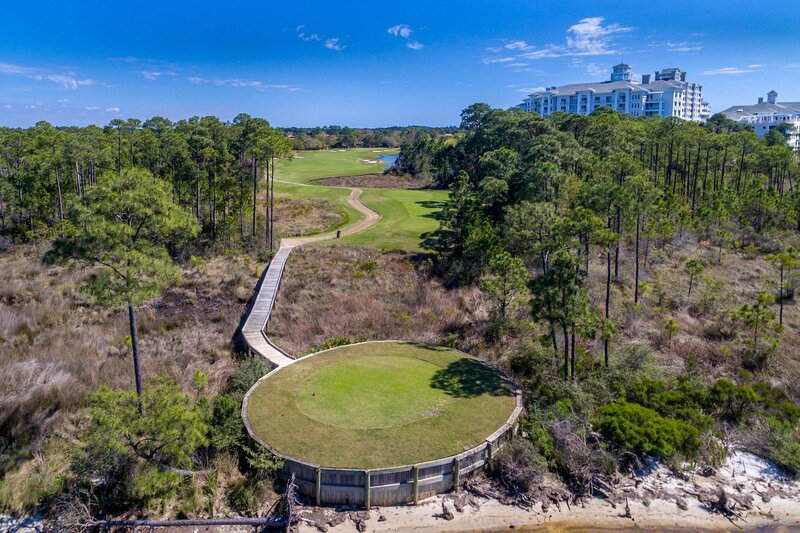 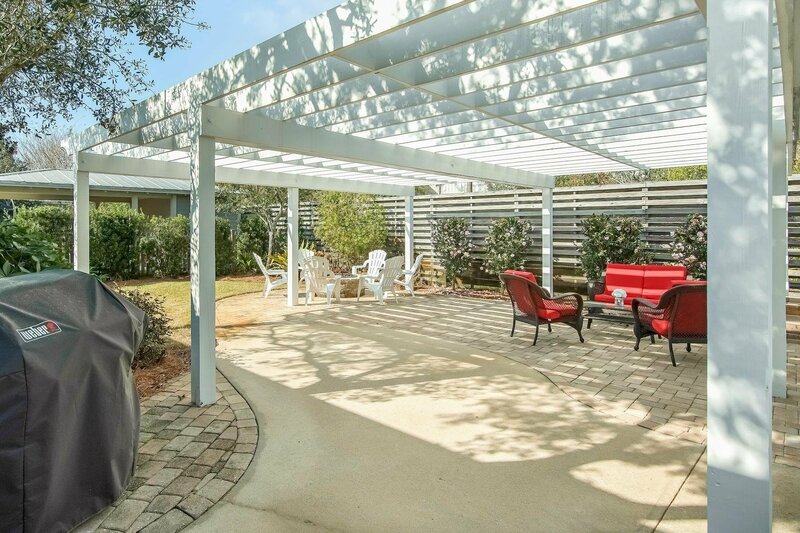 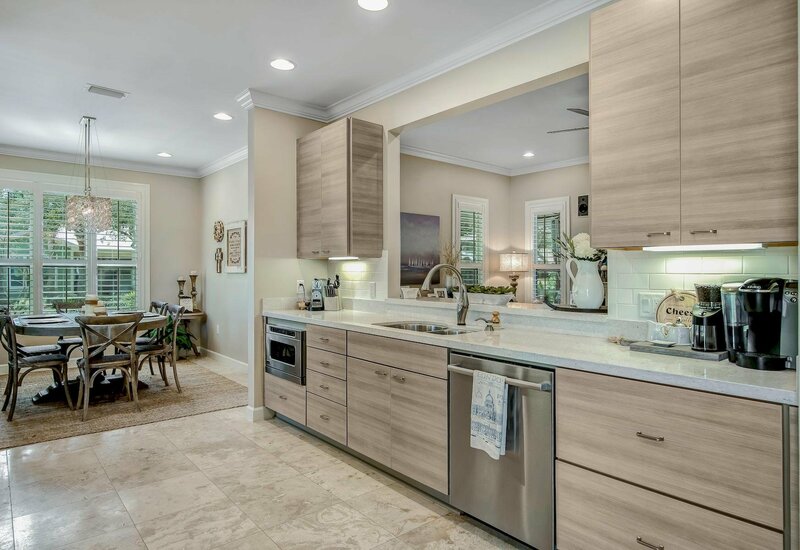 In addition to accommodating a golf cart, the one car garage has ample storage for bicycles, stand up paddle boards or other toys that allow you to take advantage of the Sandestin lifestyle. 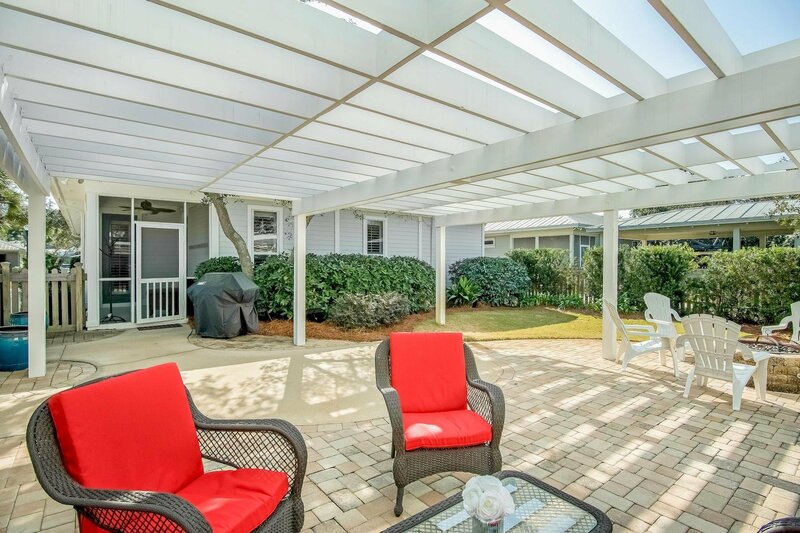 Crystal Lake owners enjoy HOA maintained landscaping, pest control, and access to a community pool, picnic facility and crystalline spring-fed lake. 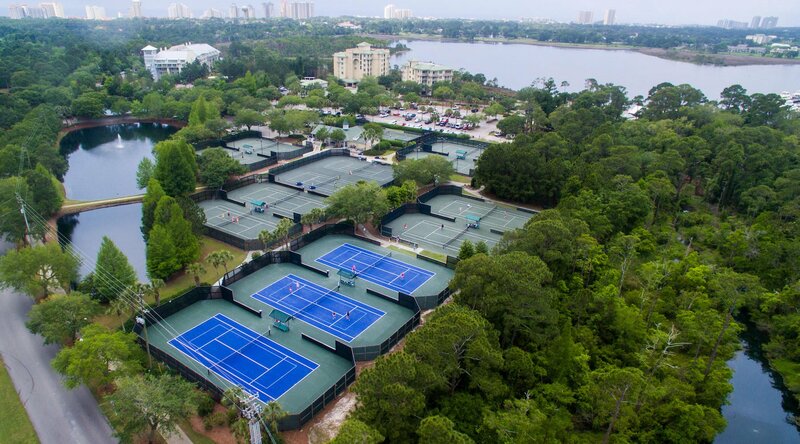 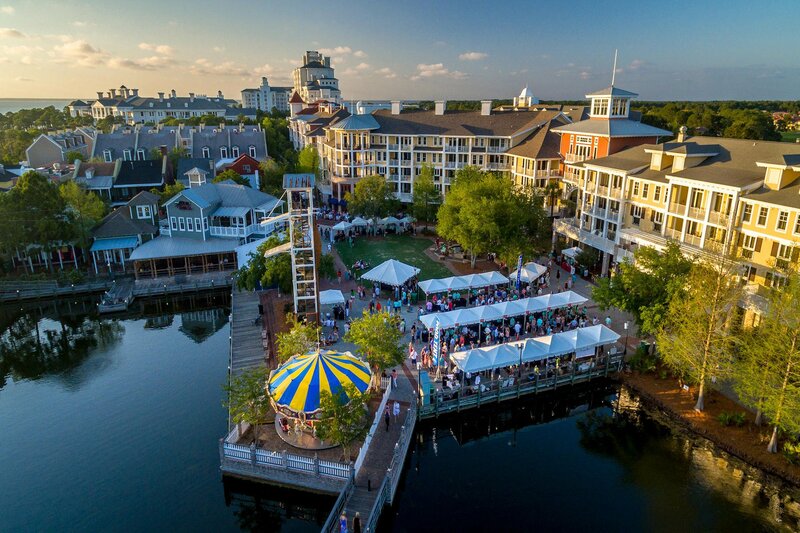 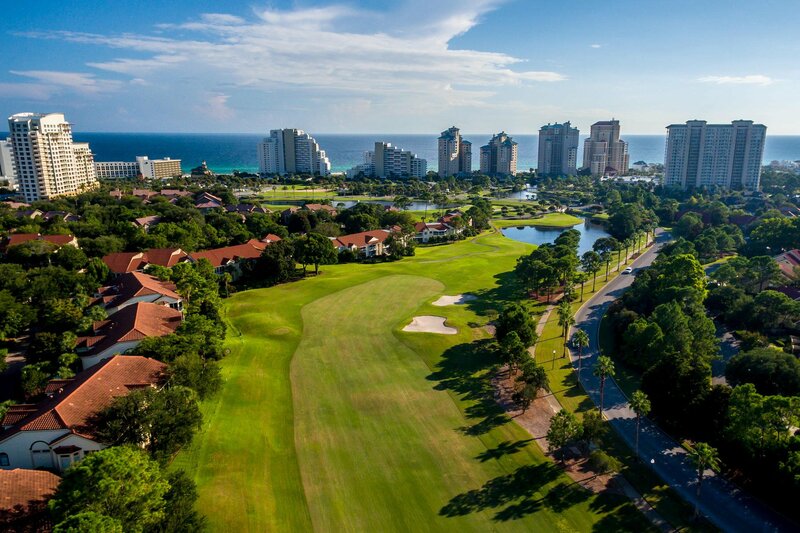 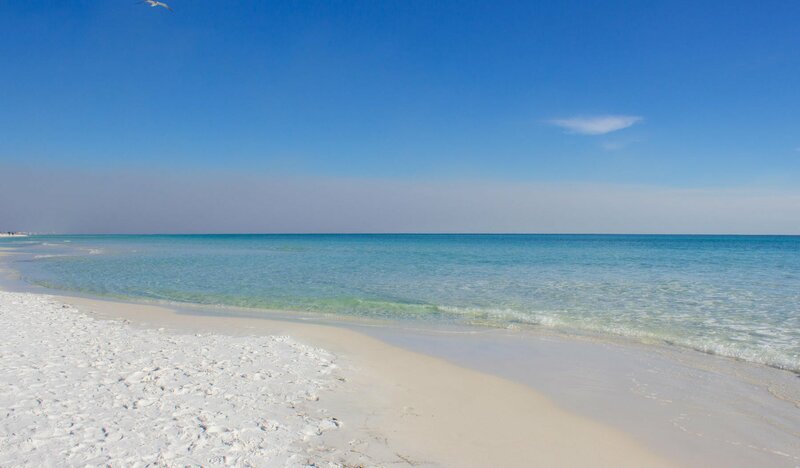 Enjoy all of the amenities Sandestin has to offer, a 2400 acre resort with the most beautiful white sand beaches, four championship golf courses, a world class tennis complex with 15 courts, a 98 slip marina, the pedestrian Village of Baytowne Wharf and the shopping and restaurants of Grand Boulevard. 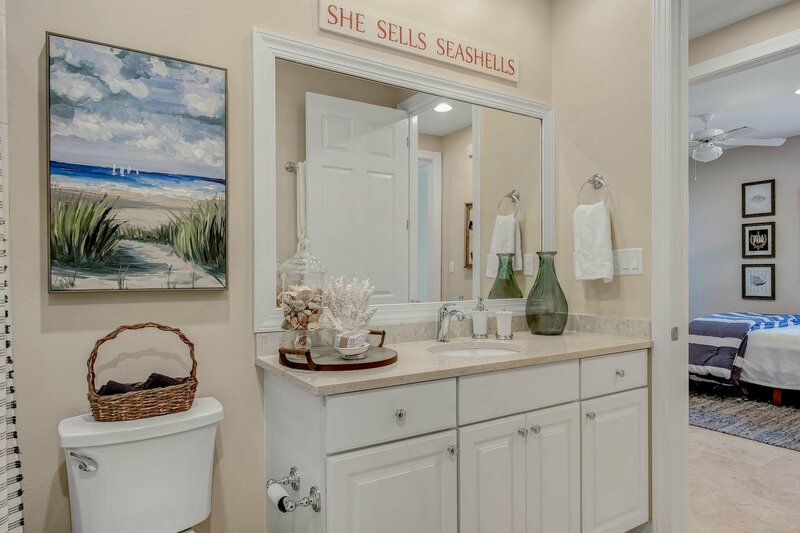 Listing courtesy of Scenic Sotheby's Intl Realty. 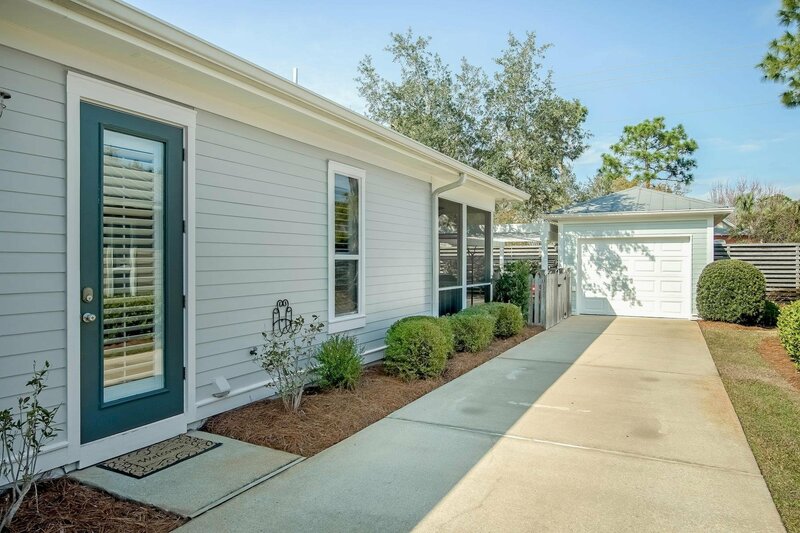 Selling Office: SRE.